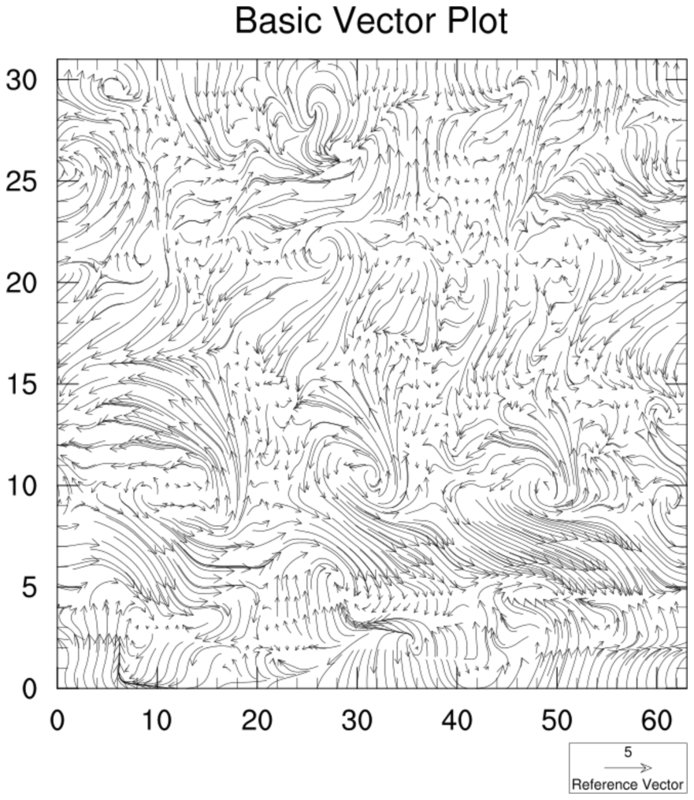 These functions create very generic vector plots. vcRefLengthF = 0.045, Defines the length of the reference vector. gsn_vector_2.ncl: Colors the vectors by their magnitude and adds a label bar. 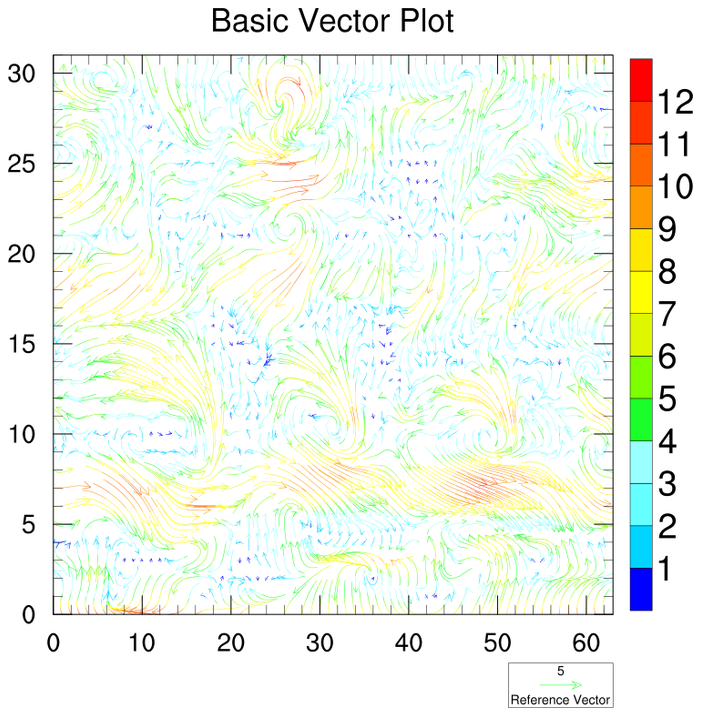 vcMonoLineArrowColor = False, colors the vectors by their magnitude. pmLabelBarDisplayMode = "Always", turns on label bar.